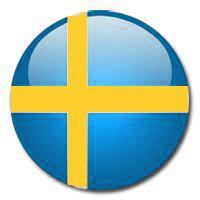 Sweden (country). In this country there are 5.50 metric tonnes of carbon dioxide emissions per inhabitant, its per capita income is 58,887.30$, in addition, its external debt is 1,016,000.00$, its forest area is 280,730.00 km², it has achieved 480 olympic medals, according to the World Bank, its birth rate is 1.90 childs, 93.20% of its population has Internet access, it has a population about 9,689,555 inhabitants, the area is about 450,300.00 km², the capital city is Stockholm, consume 351,100 barriles de petróleo, produce 4,833 barriles de petróleo, tiene unas reservas de 0.00 barriles de petroleo, dispone de 10 centrales nucleares, en su ejército dispone de 34,000 personas en activo, la potencia eléctrica que consume es de 14,030 kw-h, un total del 7.50% de su terreno está dedicado a agricultura, its GDP is 543,880,642,560.00$, 7.50% of its population is unemployed. There is information in Classora Knowledge Base about 16 rankings, reports and surveys.